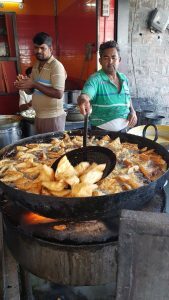 “I recently visited India for the 4th time but his time to four places that I’ve never been to on previous trips and this has given me a whole new dimension for travel to India. I started off in Mumbai (Bombay of Old) which is a wonderful city. ‘The Gateway to India’ based on a sea peninsula, it gives the city a totally different feel to any other Indian city I have visited. It has history, vibrant shopping areas, long sea front walks & great restaurants…… I could go on. Famed for the Slums where Slum Dog Millionaire was filmed, it is amazing to see how people are working together in such conditions. Everywhere I looked, I saw smiling faces and it’s amazing to think that these slums generate over 650 billion pounds of revenue a year! After Mumbai we traveled to the Majestic Desert area of Rajasthan, flying into Udaipur & then a road transfer to Jawai Leopard camp in Jawai. This area is literally miles from anywhere with stunning scenery. We saw rural India and local villages with the added bonus of seeing the elusive leopard on our game drives as well as stunning bird life. The camp itself is pure luxury owned by the Sujan hotel group offers firstst class accommodation and food. 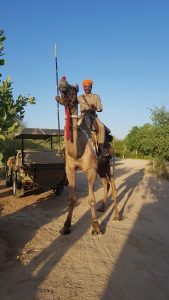 From here we drove to Jaisalmer in Northern Rajasthan to a camp called The Serai Luxury camp. Another first class property owned by Sujan Hotels, the camp is set in the desert so the theme is very much based on relaxation. 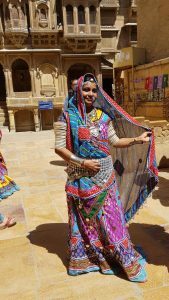 The old town of Jaisalmer is only 20 minutes away and is famous for palaces and its Halevi’s. It’s a very intriguing, small yet wonderful city. 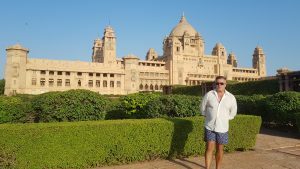 After the stay here we went back to Jodhpur – the Blue City. There is a very fascinating reason why it is painted blue….. but you’ll have to ask me for the answer! Mehrangarh Fort, Jaswant Thada and the Old bazaar are all a ‘must see’. I was very fortunate to be there for the Turban Festival and loved spending the day in my turban! (fortunately, I didn’t have to tie it myself). 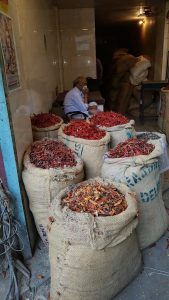 We finished the trip in Delhi but this time I saw a totally different side to the city. We explored by foot and local train. The new subway is amazing. It was a brilliant way to finish a fantastic visit to such an amazing, vibrant, colourful & exciting country. 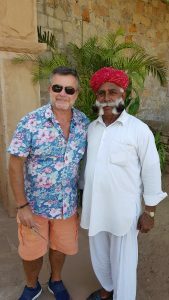 I’d be delighted to put together a trip to India for you, whether it be luxury or just comfortable – please give me a call and I’ll make your dreams come true! ← Last minute Christmas Gift ideas…..
Error: Error validating access token: Session has expired on Monday, 01-Apr-19 06:23:33 PDT. The current time is Thursday, 25-Apr-19 22:59:01 PDT.